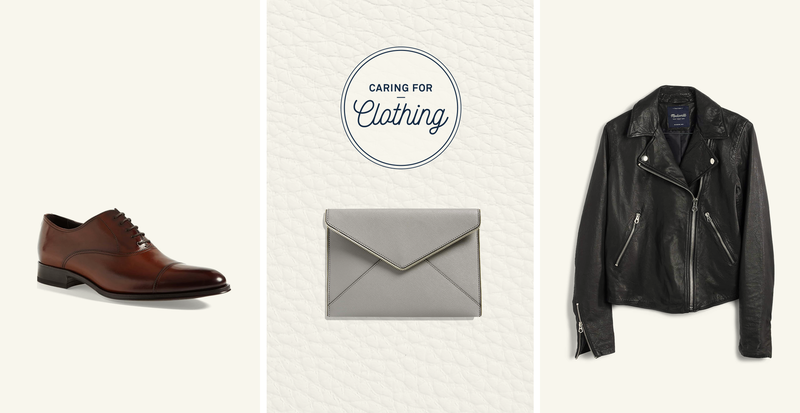 Classic and enduring, leather adds just the right amount of luxury to year-round outfits. Chances are, you have it in your closet—a sleek jacket, a go-to pair of boots, or perhaps some stylish gloves. But are you schooled on the proper way to care for it? This unique material requires specific care and routine maintenance to keep it looking its best. Even if your preference is well-worn leather that looks like it has some stories to tell, following our comprehensive leather care guide will ensure it stays strong and beautiful for years to come. Items that get regular wear (your favorite work shoes, for example) should be wiped down with a damp cloth weekly to remove dirt and dust. Leather should be kept dry, but if it does get wet, let it dry naturally. Forced heat spells damage to this natural material, and sunlight will fade the color. At the beginning of each season, take some time to apply the proper care products. A leather conditioner, applied every few months (see more on this below), keeps it soft and prevents drying and cracking. Don’t be alarmed when conditioner darkens your leather upon contact. It will lighten as it dries. TIP: Polish adds shine—but does nothing to protect. Apply a conditioner and waterproofing product to repel the elements. We recommend waxes and creams, which work better and last longer than sprays. Wipe your footwear down weekly with a damp cloth and condition every one to six months. 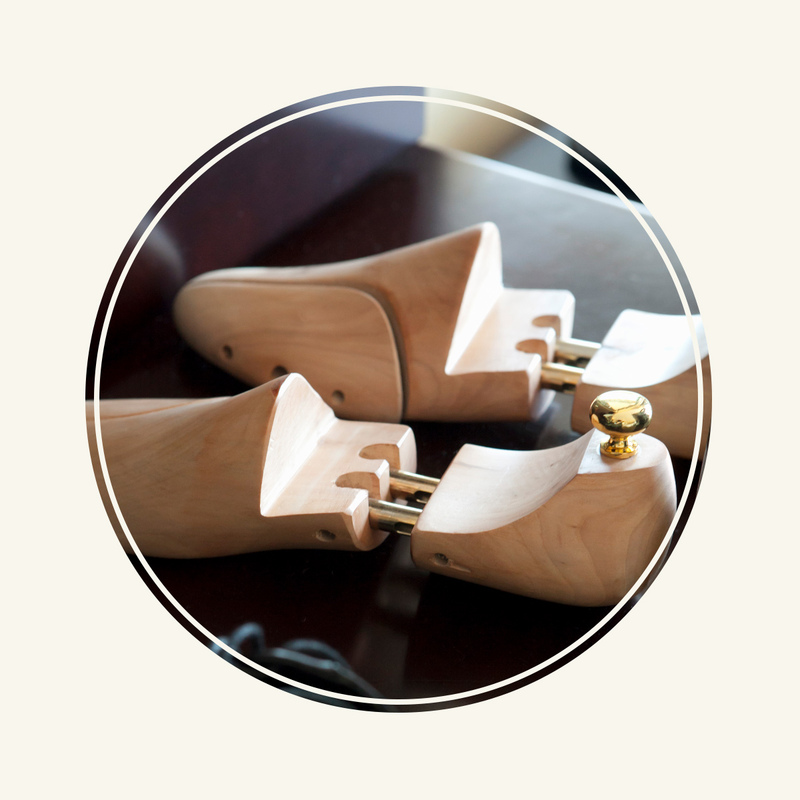 Shoes can be polished as needed, and should always be stored with cedar trees. If you encounter salt stains, wipe with warm water immediately. Don’t overfill your leather bags. Once they’re overstretched, they can’t snap back. Wipe your bags down regularly and condition once or twice a year. Shake out the liner periodically to keep the inside nice and clean. Wipe down every few wears with a damp cloth and condition twice a year. Consider a professional cleaning once a year. And always hang your jacket on a padded hanger, never fold it. A quality, well-made pair should not stretch out, so buy them for the right size and shape for your hand. Wipe down with a damp cloth every so often, and use conditioner if they become stiff. Try not to pull too much as you take your accessories on and off. To clean, wipe gently with a damp cloth and apply conditioner only when needed. Don’t wear watches while sleeping, and lay them flat when not worn. Take larger garments to a professional as needed. While soft leather should be handled by a professional, many of the sturdier pieces you own may be cleaned and cared for at home. Only use water or a special cleaning product made for leather’s delicate surface, and be sure to patch test in advance to ward off any accidents. Avoid using too much water, because dry leather is happy leather, remember? Once the spot is removed, treat your item with a leather conditioner to prep it for the next wear. 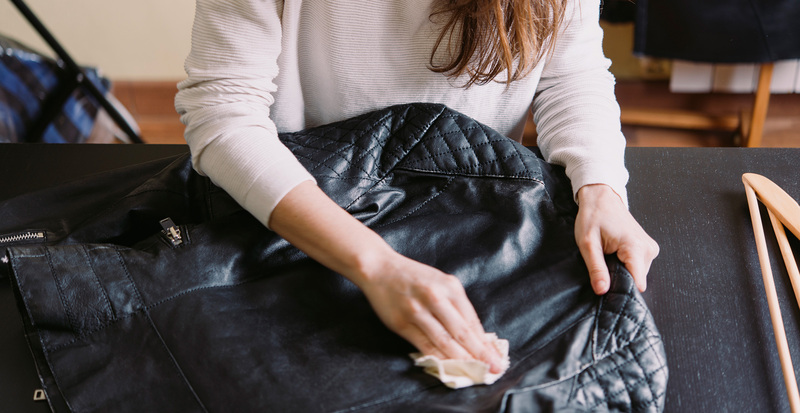 TIP: Any special products applied to leather should be the same color as the item you’re cleaning to ensure no unsightly marks are left behind. Leather must be stored carefully to prevent the material from suffocating and losing its luxe finish. Before you pack any items away, give them a full cleaning and conditioning. Shoes and other accessories can be stuffed with newspaper (which both reduces moisture and helps hold shape). Place cedar trees inside shoes, and then put them in breathable dust bags. Leather prefers a cool, dry place to hibernate. 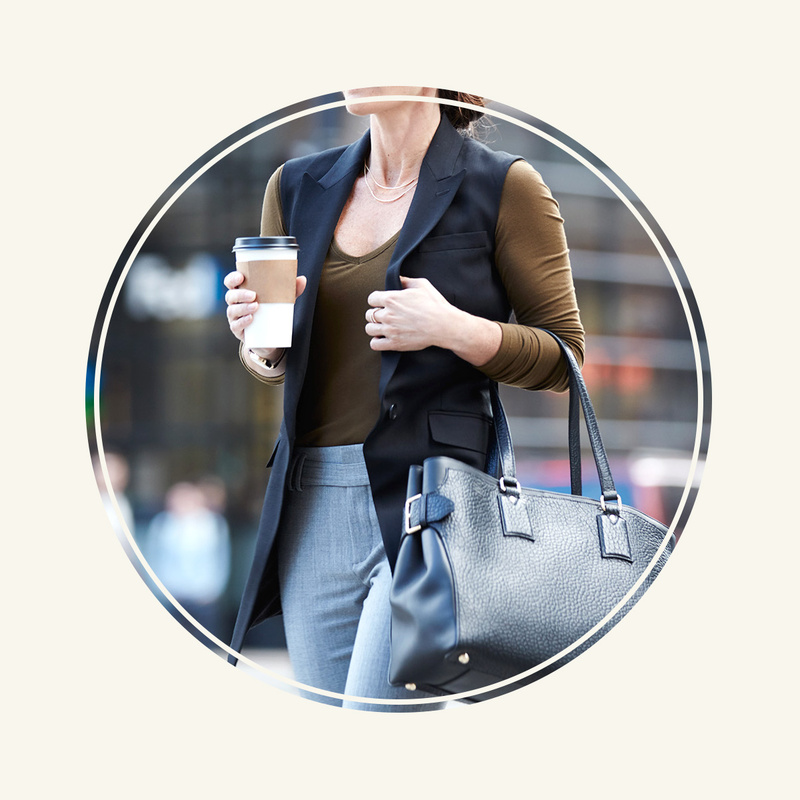 Jackets and larger items can be hung inside canvas garment bags in a well-ventilated closet. Watches and belts should be laid flat and kept away from moisture. TIP: Never store your leather in plastic. It will rot without ventilation (yikes! ), so opt for canvas, a dust bag, or pillowcase.